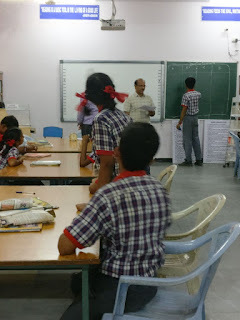 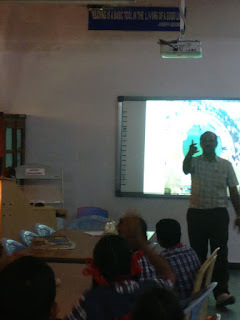 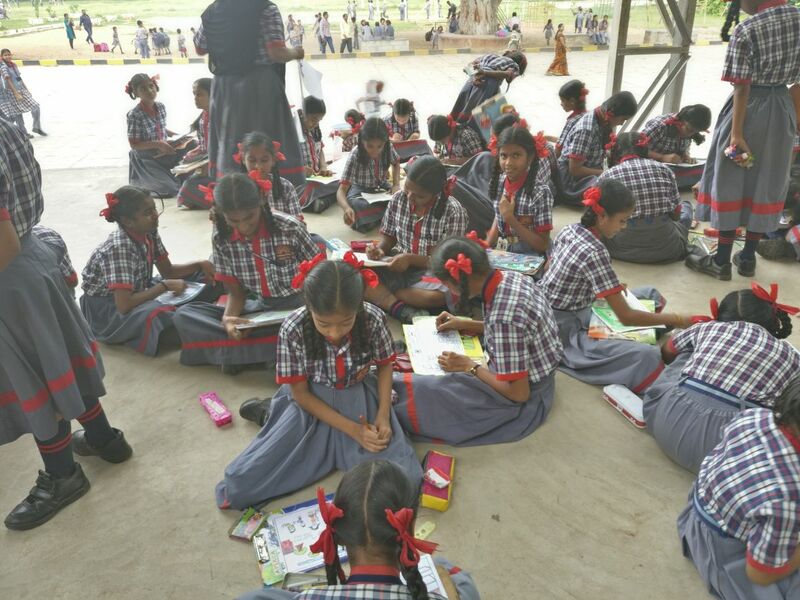 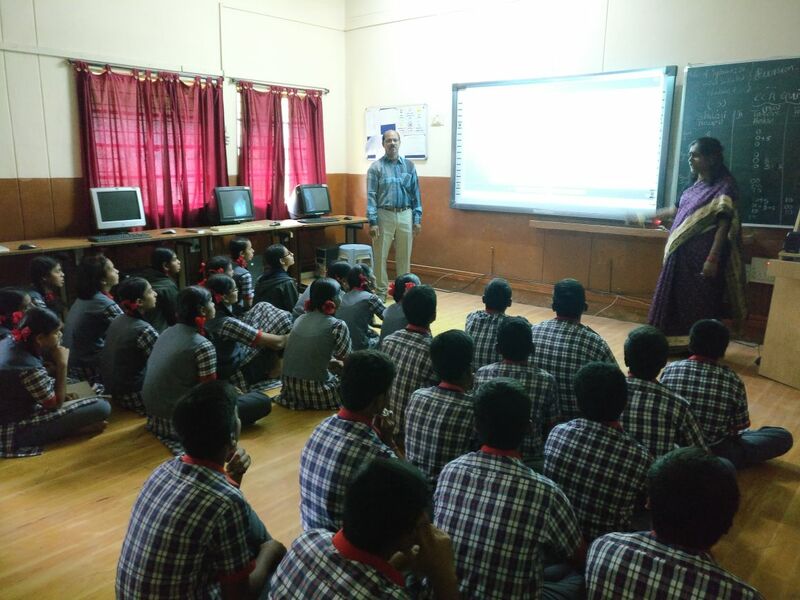 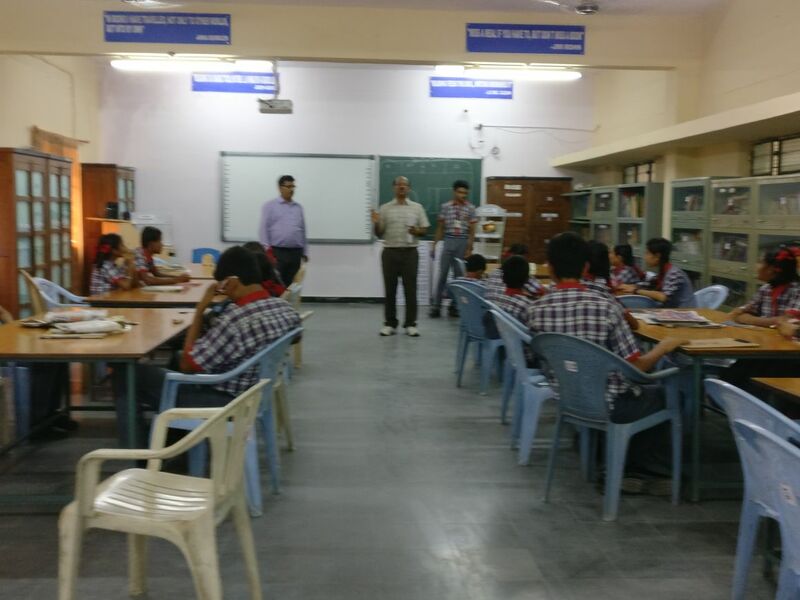 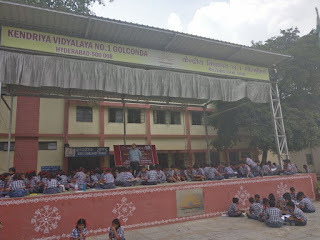 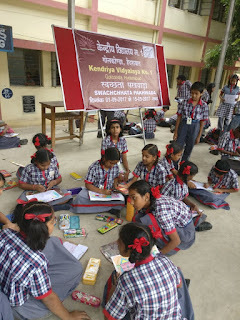 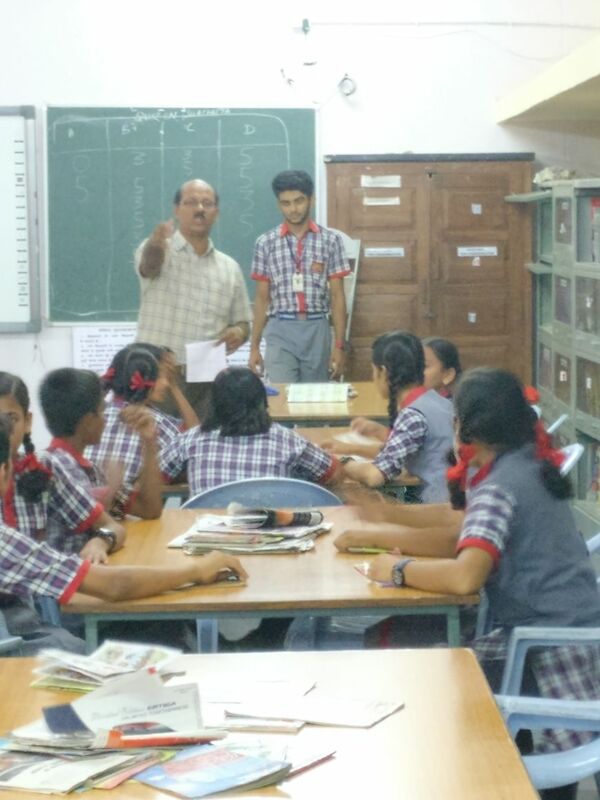 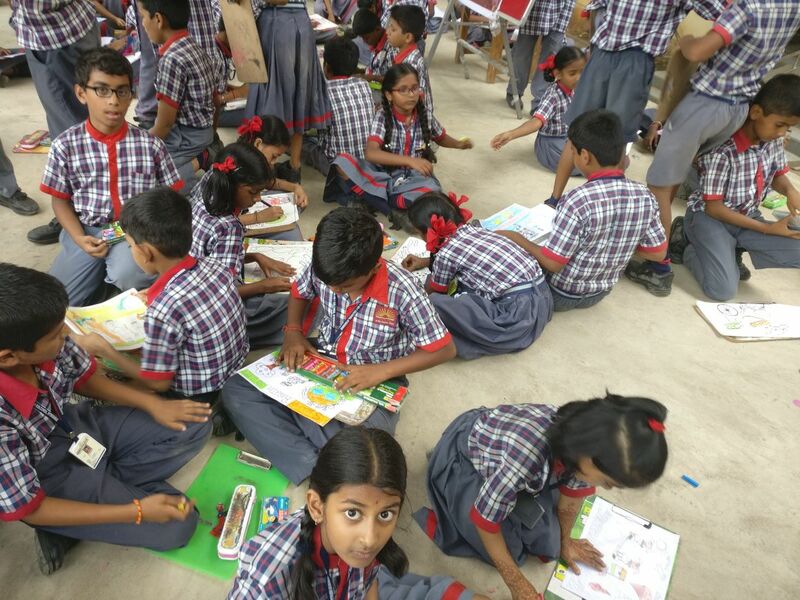 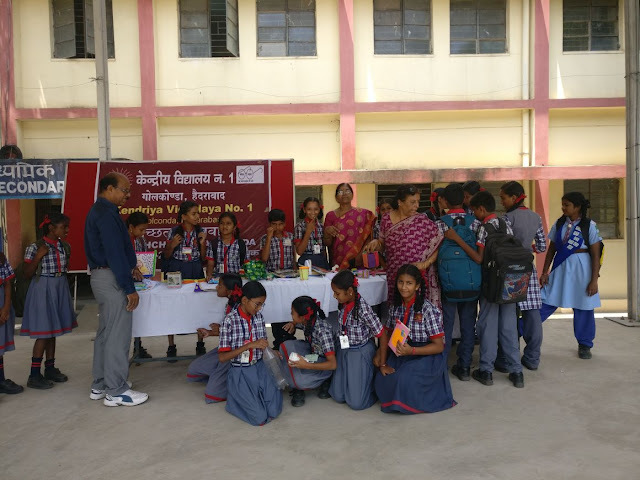 This quiz has been conducted for students of class VI to X Class.Students were selected into four teams from four houses as 'Shivaji' , "Tagore " , "Ashoka " and Raman . 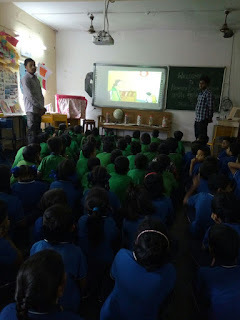 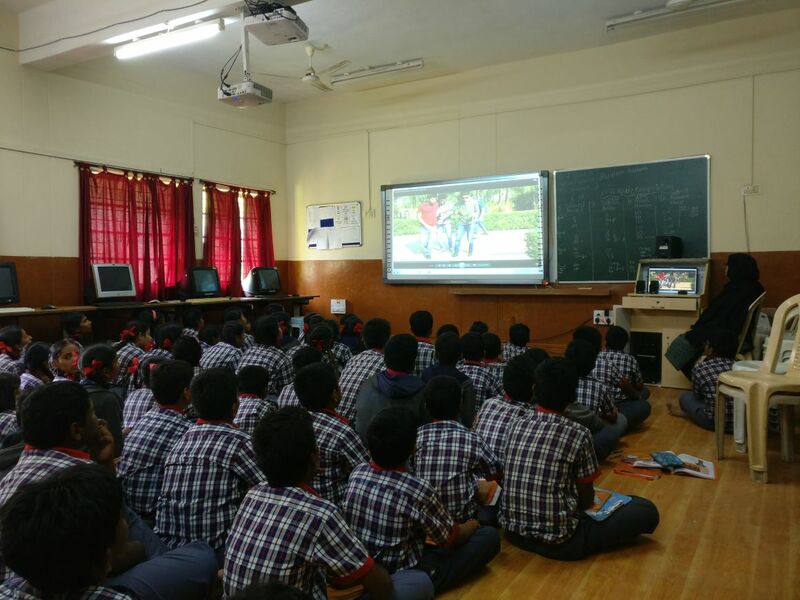 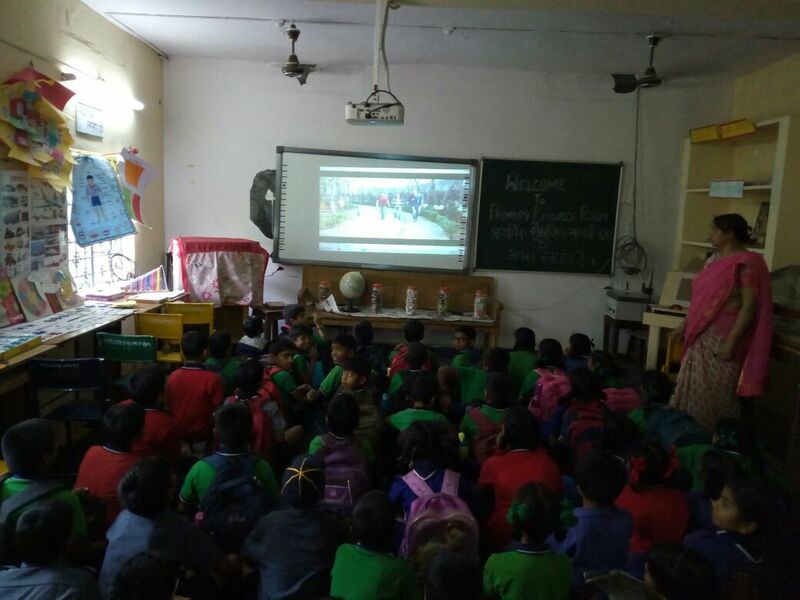 for all primary students and students of secondary also.Showing animated videos and award winning film shows children are motivated to practice good clealiness and healthy habits. 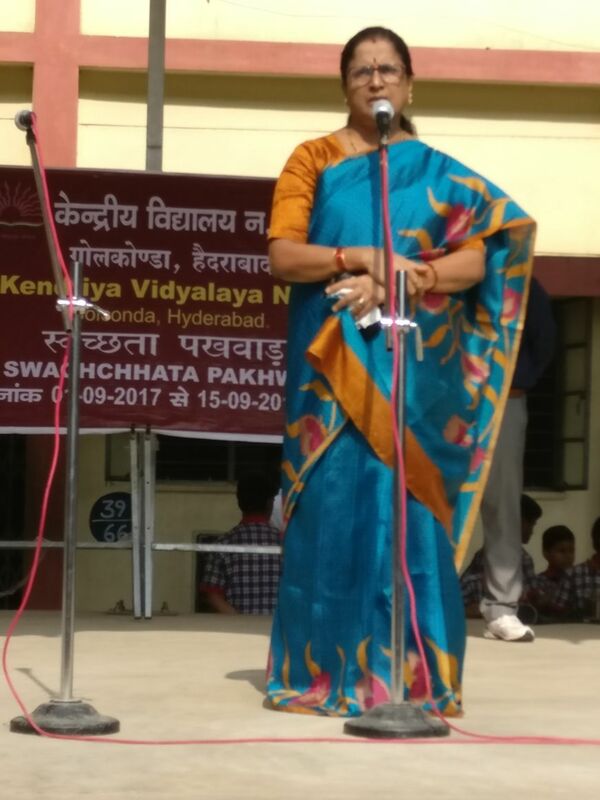 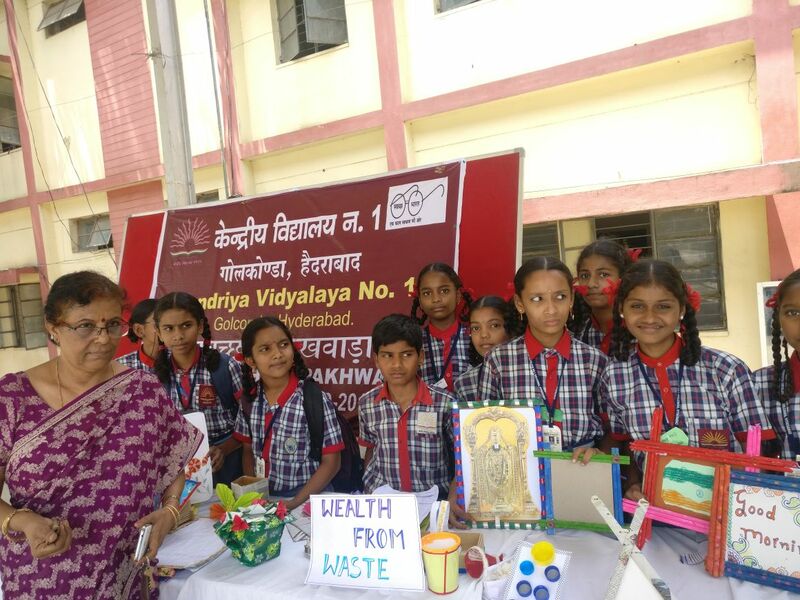 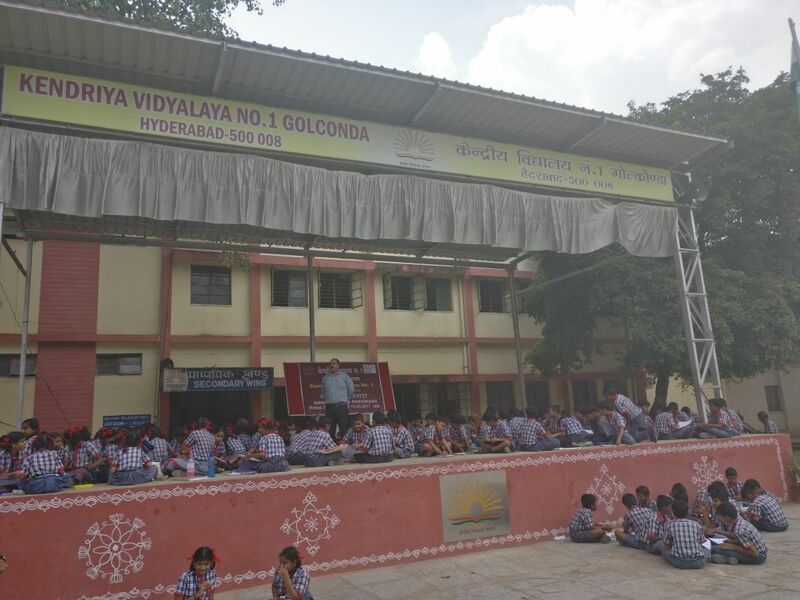 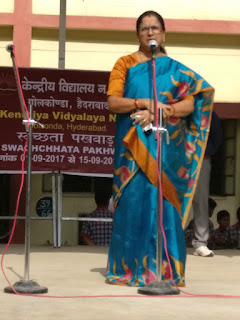 Principal and staff of the vidyalaya launching Swachhta Rally. clean surroundings to protect all from diseases to have a Swachh and Swasth India. 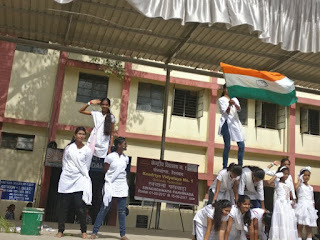 students raising slogans on swachh and samrudh India. 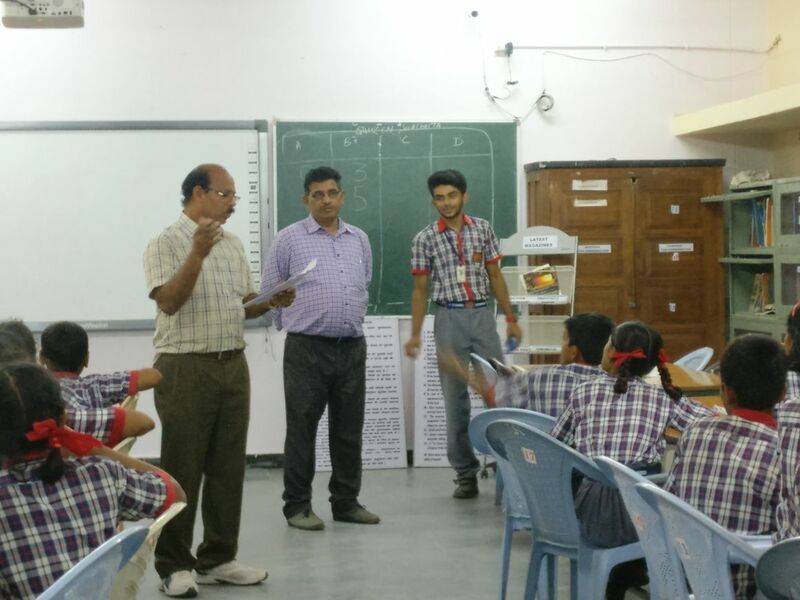 Students of primary presenting Good practices of cleaning and Hygiene in morning assembly. useful and informative , interesting and a wonderful Puppet Show after the Morning Assembly. 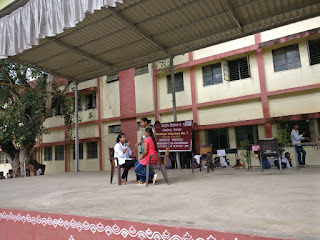 Students of secondary participating in Poem Recitation . 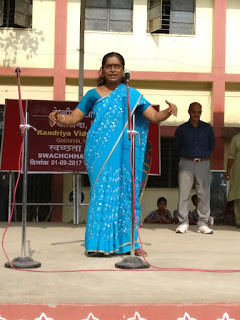 A large number of students from class VI to XI participated in poem recitation very enthusiastically by reciting poems on cleanliness and greenliness. 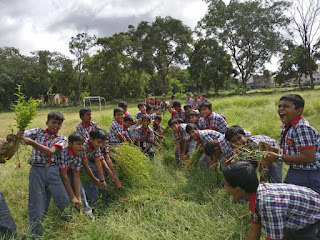 Good practices observed or experienced during visit to countries like Singapore, Malaysia and U.S.A by Mrs.Swaroopa Rani were described by her and she advised children to follow such good practices to see our future India to be clean and green and not to spit on walls and roads and try to do our works by ourselves without depending on others,like in Singapore . 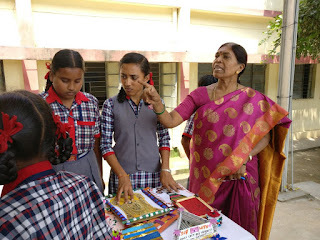 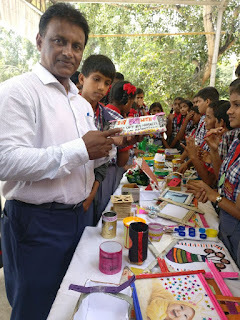 Children of class VI to X made and brought different greeting cards and articles from waste old cards,used ice cream sticks ,used plastic bottles and plastic cups and photo frames under the guidance of Mrs.Vasundhari and Mrs Gnana Lakshmi , and sold them in a sale counter .They donated the amount collected from this sale to a charitable organization .